Gerard Bocquee D.Hom (South Africa), founder and principal of the first Homeopathic College in Australia, the H.C.A, Pty Ltd. in 1979-86, has lectured in Homoeopathy, Microbiology and Immunology. He conducted a post graduate course in Homeopathic medicine at the Sydney Chiropractic College in 1980. 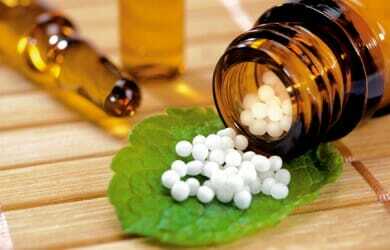 He is owner and director of HomLab-The Homeopathic Supply and Research Laboratory of Australia, since 1981, and has taught homeopathic pharmacy at South Bank T.A.F.E. He started his career in Homeopathy after acquiring experience in the field of research at the Mauritius Sugar Industry Research Institute. Moving to Australia, he gained further experience in the field of Chemistry, both the fertilizer and petroleum industry. In South Africa, he worked in product development in the edible oil industry as well as in the analytical field. He was also responsible for the commissioning of an edible oil hydrogenation plant, but it was the result of homeopathic medicine for his health issues that impressed him the most. Gerard has also conducted lecture tours in Homeopathy at the University of Technology and the Ingau Hospital in Papua and New Guinea, public lecture to the nursing staff at the Wesley Hospital, Brisbane and at the Brisbane College of Traditional Acupuncture.